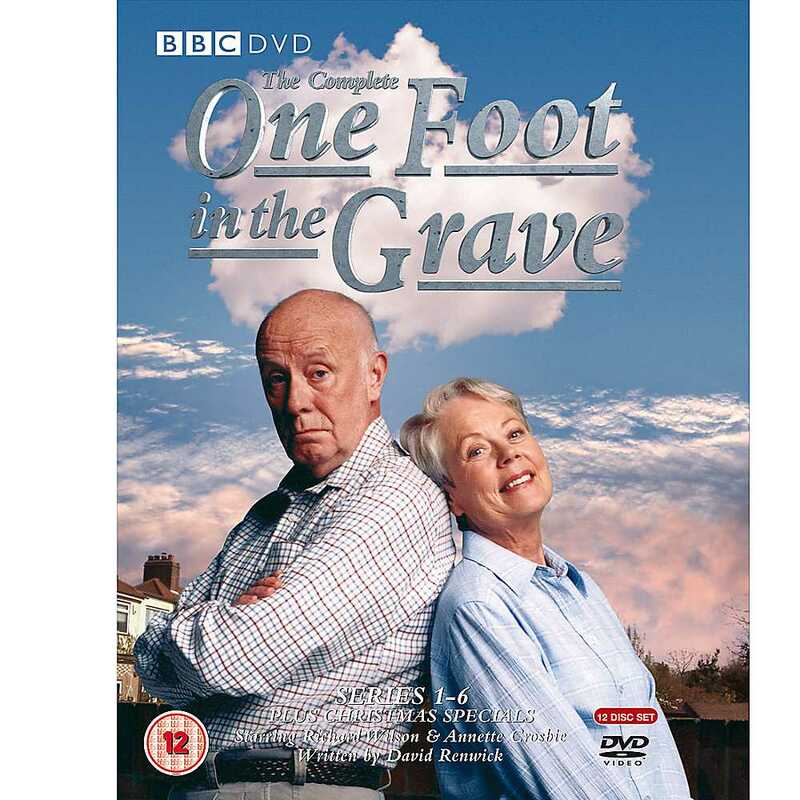 One Foot In The Grave is a modern classic and the one show that gives me hope for the modern-day, mainstream sitcom. It appeals to all ages with its mix of recognisable situations, absurdities and tapping into the frustrations of modern life and bad service. The show is permanently waving a defiant fist at the universe. One might make the mistake of thinking that Victor Meldrew is a grumpy old man. He isn't. He's a perfectly pleasant senior citizen who likes to be polite, always calling Mrs Warboys by her formal title and name. Even though he finds her annoying. And selfish. Which she is. But she is also vulnerable, so we feel sympathy with her. Meldrew just likes things done properly, but most of all, he would like to be treated with respect. And when he is ignored or taken for a ride, he causes a scene or creates a plan for revenge which usually backfires on him, even though he morally on the side of the angels, and his anger is righteous. He is turned into a monster by society. Margaret, Victor's wife, is stuck in the middle, dutifully helping her friend, Mrs Warboys, trying to be a good neighbour but generally trying to cope with the vortex of chaos in her house - when a plant is potted in the downstairs toilet, or Victor is buried up to his neck in soil. So it's worth noting that this show is successful because we have true sympathy for the main characters, including their long suffering neighbours. It would be easy to create a monster like Victor Meldrew and omit to make him likeable, which would make him far less appealing and funny. It's not just small moments of slapstick, but elaborate set-ups and pay-offs that are works of genius. David Renwick is able to conceal the big reveal until the last possible moment for full impact, ensuring there are no ambiguities or lose threads. It's like a carefully stage-managed magic trick. So it's no wonder that Renwick also wrote a comedy drama about a magician and illusionist, Jonathan Creek. It's a masterclass in plotting and one to learn from when writing our own sitcoms. Often, a script isn't going well because it's not been adequately plotted. In order to keep things jolly and funny, you've panicked and gone for short term jokes rather than playing the long game. But you need to think all the way to the end and go back and cut material, routines and jokes if they're not adding to the whole. It's painful but you sometimes have to throw out really funny stuff. Because the plots are so well crafted and paced, with the reveals coming at exactly the right moments, with physical jokes along the way, and sympathetic characters who can boil over, you don't need that many jokes. Looking back over episodes, there are lots of lines which, on reflection, could be funnier. But Renwick doesn't need them. He is a master, holding back until the right moments, and then going all in. So, what can we learn from this modern masterpiece? Sympathy for characters, more time on the plot. Take care of that and the comedy takes care of itself. 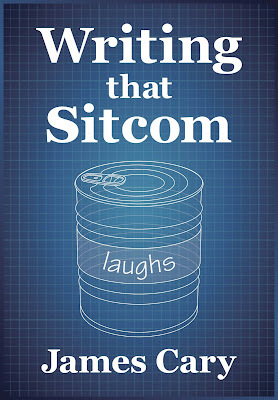 For more sitcom advice, and how to get the idea from your head into a pilot script, have a look at Writing That Sitcom, available for Kindle/Kindle App. 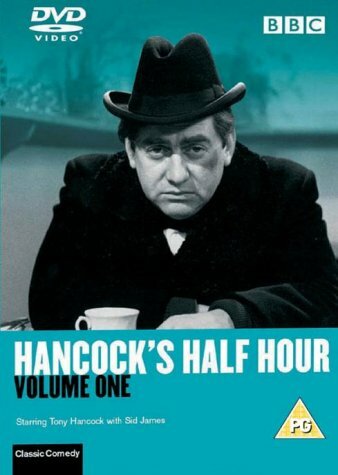 Tony Hancock is the ultimate British sitcom character, almost the original on which all others are based. His name tells you quite a lot. The character’s full name is Tony Aloysius Hancock. Two regular, everyman names, with pretention stuffed inside. Hancock is pompous, self-important and has no self-awareness. And, most crucially, his expectations exceed his ability, just like Captain Mainwairing, David Brent, Basil Fawlty, Arnold Rimmer et al. He attempts numerous projects, jobs and schemes to unlock his genius, pull himself up by his boot straps or make a name for himself. They always end in failure. Hancock is insistent that the world is against him. Which it is. And that’s how it feels to us. But we can at least comfort ourselves that none of us are as deluded, frustrated and bitter as Hancock. The central character is so strong that he works in almost any setting, which is handy because the show is very erratic in its situation. Given the sitcom form had not really settled down, it seems no-one felt any need to impose any kind of continuity between episodes. The result, looking back over the TV episodes that survive, is that you’re never quite sure whether the guy who’s gone to give blood one week is the same guy with all the radio kit another week. But you don't care. It's just funny. The central character is so strong that he works with any characters, which is also handy given the real Hancock was so paranoid and insecure that over time, he had every regular cast member removed, most notable being Kenneth Williams and Sid James. But it didn’t matter, because the character at the centre is rock-solid – a small-minded, moralising also-ran who embodies all of our prejudices, neuroses and cowardice. And yet somehow, you care. The central character is strong, but he doesn’t work without the writers, Galton and Simpson. The star killed the geese that layed the golden eggs, firing Galton and Simpson, who’d written 150 episodes for TV and Radio. So they'd probably had enough anyway. But from that moment on, Hancock’s days, comedically, were numbered. And sadly, literally, as it turned out. For more sitcom analysis, and how to get the sitcom from your head onto a page, why not have a look at Writing That Sitcom, available for Kindle/Kindle App now? 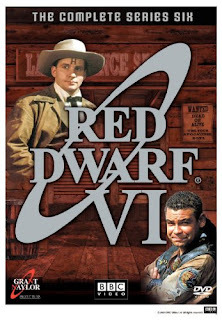 With hindsight, Red Dwarf feels like it could easily have been one of those shows. The first two series undoubtedly showed promise. I’m sure one or two die-hard ardent fans think it went down hill in Series 3. But I’ve never met anyone who thinks that. At the start (after the very slow set-up), the show had most of the key ingredients, blending brilliant science fiction ideas with extremely relatable characters, even if one of them was a hologram and the other essentially a highly evolved cat. And of course, there’s the wonderfully deadpan on-board supercomputer, Holly. Characters are fine, but you need relationship and conflict. And you have that in Lister and Rimmer, who were just very petty towards each other, and it really worked. Lister would go out of his way to annoy Rimmer, who was very easy to annoy. And you had just enough sympathy for Rimmer to care. Just. As we saw in Mr Don and Mr George, it’s easy for a comedy to lapse into a melange of just funny ideas, but Red Dwarf avoids that. No matter how clever or insane the ideas are – like time travel, stepping into photographs, or catching luck viruses – the show is always about the characters, their struggles, quests, vanities and vulnerabilities. And for that reason, I’ve always preferred it to Hitchhikers Guide to the Galaxy, in which the ideas dominated and you had Arthur Dent in the middle, generally moaning about his fate, with characters around him with whom he never really connected. I never really had any affection for Ford Prefect or Zaphod Beeblebrox, much as I like the ideas and the tone. I’m sure you couldn’t have had Red Dwarf without Hitchhikers, but gimme Lister over Dent any day. The only weakness in the set up of Red Dwarf, for me, was that Cat was never quite calibrated to be able to carry stories. He was always good for jokes, and proved to be the amusingly unreliable ally, but he could never quite push the show forward. So it was a stroke of genius to co-opt (and recast) everyone’s favourite droid, Kryten who has all my favourite one-liners from the show. (eg. ‘Aah. Smug mode’) Kryten is also brilliant for Lister and Rimmer’s relationship because he becomes a battleground for them, as they war over his soul – or at least Lister’s quest to find him one. Once Kryten is in place, we’ve got four whole series of untrammelled joy before the wheels start to come off for a variety of reasons, although I’m pleased to say the wheels have been found and successfully reattached. But all my favourite episodes are in Series four, five and six. My all time favourite is probably White Hole – briefly featuring Talkie Toaster - but I also love the one with the Holovirus, the Psirens and the Emohawk. In those first six series, you’ve also got the confinement you need in any sitcom, where the characters can’t escape each other, but you’ve also got the freedom of the entire universe. Lister isn’t just trapped on a space ship, which is massive but largely functional. He’s trapped by being the last human alive, so no matter where he goes, or whoever he meets, he’s doomed to loneliness and dissatisfaction. This is a great recipe for a sitcom. When they begin to tinker with that (with the return of Kochanski) things started to go wrong. That said, the latest series was a real return to form, so who knows what the future holds for this truly wonderful show? Sitcom writing advice and much else besides can be found in Writing That Sitcom, which walks you through the whole process of going from idea to script and beyond. Mr Don and Mr George is a sitcom spun off from the sketch show, Absolutely. It was completely devoid of bad language and innuendo, and played at 10.30ish on Channel 4 on a Friday night. The show was not a huge success, as you might imagine. It was hardly 'edgy'. It only ran for one series. But I utterly loved it. And still do. It's just a wonderful world of silliness, jokes, self-defeating set-ups and pay-offs, all based around a slightly abusive relationship of bullying Don and submissive George. What I love about it most is its comedy purity. Everything in the show is either a joke or a set-up. And it didn't feel like any sitcom I'd ever seen before. That said, in hindsight, it wasn't a long way away from Sean's Show or Father Ted. But both of those shows were more successful. The latter, became a classic and still endlessly repeated on More4 or E4. So, much as it pains me to do so, I have to look at why this surreal gem wasn't not a hit. Here's where I think it fell down. It wasn't as emotionally engaging as Sean's Show or Father Ted. Both shows were crammed with jokes and oddities, but we rooted for Sean, who'd built up a live fanbase through being a successful comedian on the circuit. They went with him as he attempted to deconstruct the sitcom. And of course, who doesn't love Fathers Ted and Dougal? Ultimately, we never really cared about Don or George, because the show always went for the joke rather than play any extended emotional beat. Being eighteen years old when I first watched it, I didn't care about this. I just wanted jokes. And I got them. And they will stay with me forever. Even though I taped over my VHS tapings of the show by mistake. Thanks to Youtube and 4oD, the demented world of Mr Don and Mr George lives on. Is your sitcom idea emotionally engaging? For more thoughts on writing that sitcom script, see here. I missed Father Ted. It was on while I was university, three years when I didn’t watch a lot of TV. I’m not sure I’ve caught up on all of them, but they are episodes of beauty, silliness and demeneted joy. I think I saw almost every episode as it went out, or very soon after. An appointment to view. And those were the heady days of Videoplus. I could have punched in the four, eight or twenty digit number and gone out, but no, I stayed in with my then girlfriend, now wife, and watched this lovely show. It was only with us for 18 episodes, running from 2000-2004, but that’s nine hours of Bernard Black shouting, drinking wine and pretending to read books with Manny and Fran running around after him. What can we learn from this show? 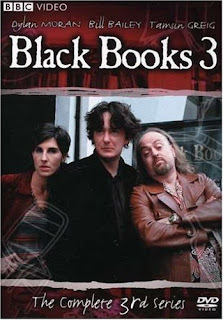 As with all shows in which Graham Linehan has a hand, Black Books created it's own world. It wasn’t a big world. Quite the reverse. It was a tiny world, mostly a bookshop, a tiny kitchen and tinier flat. But it had it’s own logic and rules – in which a bookshop run by a shouty misanthrope that never sold books or did its accounts could stay open. Linehan and Moran created three characters were emotionally dependent on each other. You could argue Linehan does this in Father Ted and IT Crowd. But there’s something about a triumvirate that can work really well especially if there’s a natural leader to the three who calls the shots. And those three characters are all you need. I barely remember any other characters. There was some show-off explorer. And a summer girlfriend. And Simon Pegg’s deranged cult-like rival book store manager. In fact, looking it up on wikipedia, there are quite a few other characters who pop up. But I don’t really remember them. What I do remember is funny scenes in which Bernard, Manny and Fran talk, argue, drink wine and play off each other. Having picked two sitcoms (Bread and Allo Allo) with enormously creaking casts, it’s nice to show how things can and should be done with a much smaller cast. The plots stuck brilliantly to those three characters and their relationships with each other. It's a real masterclass on that score. Therefore, I salute writers Dylan Moran, Graham Linehan, Andy Riley and Kevin Cecil, and declare their show, Black Books, by 8th Favourite British Sitcom, by far one of their smallest accolades. For more sitcom analysis, and advice on getting an idea out of your head and onto a page, try Writing That Sitcom, available now for the Kindle/Kindle App. Yes. Allo Allo. I loved it. And I still like it. It's a big, broad, bawdy panto-style comedy. But just think about the show for it minute. It's a comedy set in Nazi-Occupied France. Two British Airmen need to be smuggled out and anyone caught aiding and abetting them, or working with the French Resistance, will be shot. The German soldiers are not cold-hearted fanatics, but portrayed as humane bungling idiots just trying to survive the war like everyone else. In the first two series, they even made their Heil Hitler's funny. Their worst nightmare is being sent to the Russian front where death is almost certain. 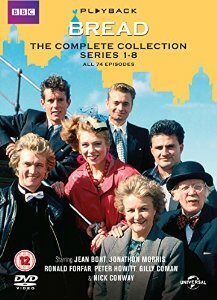 Undoubtedly, this show couldn't have happened without Dad's Army and It Ain't Half Hot Mum, also by David Croft, and the hit movie The Producers. These all paved the way for something this subversive and yet so mainstream. On top of this, it's all done with strong foreign accents, and we are invited to imagine that when their accents are French, they are speaking French. When they switch to plummy English, they're now speaking English. And of course the English Policeman, Officer Crabtree (Arthur Bostrom) mashes the two. It's a simple joke, but a funny one, and it keeps on giving (see below). What language the Germans and French remains a mystery, but it doesn't seem to matter. It just works. The show ran for ten years, with over 80 episodes. It was undoubtedly a huge hit worldwide and is still repeated today. What can we learn from it, should we be minded to do so? The show is very simple to understand because the uniforms and the accents make it crystal clear who's who, who the good guys are and who the bad guys are. And who the very bad guys are (eg. the Gestapo, General Von Klinkerhoffen, etc). Because the writers had confidence that the audience knew exactly who was who, the shows were able to sustain ludicrously complex and convoluted plots. It became a serial, but each week, Rene Artois was able to talk to camera and explain to us, in his tired and jaded way, what was going on - and the exact location of The Fallen Madonna with the Big Boobies by Van Klomp. And then latterly the Cracked Vase with The Big Daisies by Van Gogh. The painting are another clue as to the show success and appeal. Everything was on the screen. Being in the panto-style, the show had big clear props, like stolen paintings and smoked sausages, and elaborate disguises, made all the funnier when underneath them was stone-hearted Herr Flick of the Gestapo (and sometimes Helga, or Von Smallhausen). Or L'Eclair. This meant that the show was really easy to follow and understand, and comedically, that really helps. Big, silly, significant props really help in this. And if you're looking to write a mainstream comedy, it's worth bearing this in mind. I say again, as I regularly do on this blog, confusion is the enemy of comedy. Allo Allo is riddled with catchphrases. If you took the catchphrases - and their set-ups - out of the show, you might only be left with a few minutes. Almost every character had a catchphrase that you could see coming from a mile away. 'It is I, L'Eclair', 'My little tank', 'Listen very carefully, I shall say this only once', 'I see flashing knobs', 'You stupid woman', 'Whadda Mistaka to Maka'. The list goes on and on. And you know what? The audience loved it. Every time. 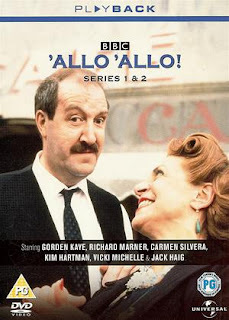 Allo Allo will clearly divide audiences now, many of who don't appreciate the stereotyping, the cod-accents, the casual sexism and the fact that it is very formulaic. Fair enough. I loved it. They still repeat it and I sometimes watch it and still makes me laugh out loud. It was very helpful to me when I was writing my Radio 4 sitcom Hut 33 in terms of how to approach a wartime comedy, so it's in my Top Ten. At Number 9. For more sitcom analysis, why not look at my book, Writing That Sitcom, and listen to the Sitcom Geeks podcast. What are your Top Ten Sitcoms? Not the ten sitcoms you think are the best? Not the ten most famous you think are good? But your personal top ten? As part of my shameless attempt to promote my new book, Writing That Sitcom, and as a nod to the Buzzfeed culture of listicles, I’m going to work through my top ten sitcoms. Hopefully, this won’t just be a self-indulgent exercise, but an informative one. I will try to make a few comments on why they’re important to me, but also what I’ve learned from them and, where possible, what we can all learn from them today – other than ‘I wish I was that talented’, or ‘I wish it was 1976 when there were loads of sitcoms and much less pressure on them’. I’ve also kept it British. We can briefly look at my favourite Americans ones (eg. Seinfeld, Friends, Frasier, The Phil Silvers Show etc), but the way British sitcoms are created, written, shot and evaluated is bit different from how things are done in LA. The audiences are different too, so for now, we’re staying in Blighty. Yes, the much-forgotten, Sunday night ratings sensation, Bread. For those too young to remember, and too lazy to google it, Bread is a sitcom about an extended family, the Boswells, in Liverpool that scrap to make a living. There is a strong mother at the centre of it, Nellie, who is fiercely loyal to her children, who all live together in a terraced house, with the granddad next door. Every now and then, the estranged husband, Freddie Boswell, would turn up. He’d run off with an Irishwoman, referred to as Lilo Lil. I watched almost every episode of this show as a child, or teenager, and have great affection for it. A few years ago, I watched an episode which wasn’t quite as rewarding as I’d hoped, partly because the show had a serial, soapy element. The episodes often ended on a cliff-hanger rather than having a neat resolution. It was as much as family saga as anything else. There was quite a lot of location shooting, although the big core scenes were shot in a studio in front of an audience. It also wasn’t as funny as I remembered. But this is not to say that there were lots of jokes that were now dated or fell flat. Carla Lane, the writer of the show, knows what she's doing. There were exactly as many laughs are she intended She was doing something more than a sitcom. More of a soapy, studio comedy drama. Given it moves slowly, takes its time over jokes and has lots of characters, one would imagine this show was not a great success. And yet its one of the most successful sitcoms in BBC history. It was a monster hit show, running from 1986 to 1991. There are 74 episodes in total. It survived at least three changes in regular cast members: Joey, Aveline, Billy's girlfriend, Julie. Episodes regularly drew ratings of 14 million. I seem to remember one episode nearly hit 20 million. Yes, there was less choice back then, but that's a juggernaut of a show by anyone's standards. Carla Lane was doing something right. So what can we learn from this show? Carla Lane made us care about this family of characters so that we’re always rooting for them as they scrap to make a living, game the benefit system (DHSS), run businesses and trade stolen goods, all so they can put food on the table. We feel their pain and their joy. We’ve involved in their lives and the more we care, the more we laugh. And the more we care and laugh, the more like we are to come back next week, especially if there’s a cliffhanger involved. I’ve read and watched quite a few sitcoms recently – mostly written by overeducated men in their 20s – in which the characters are rootless, heartless and charmless. It’s partly a function of the graduate culture in which people leave home and then get employment away from their family. But quite often, shows and scripts can reflect that lack of warmth, family and genuine emotion. Characters can come across as sociopathic, which can be funny in the short tem, but ultimately, you just don’t care about them. Bread is show full of roots, heart and charm. And people loved it. My only frustration with the show was the number of peripheral characters, prospective boyfriends and girlfriends, that I felt got in the way of the comedy, which was always done best by the characters we knew loved. The show was a little unwieldy for half an hour, but given the strong communal nature of the show, a sprawling cast was probably inevitable. The show seemed very Liverpudlian – to me watching in Somerset, at least. It felt like we were looking through a window on a world, including the Catholic/Protestant rivalries and mutual suspicions. (Aveline falls for a Protestant vicar). This show is infused with the spirit of the city, something that rarely happens now, especially in sitcoms. And Carla Lane knew that place – and had written about that place before in The Liver Birds. Moreover, the characters are not longing to leave Liverpool. They love it. And they love their home. They have ambitions and dreams, but this is just sustains them as they try keeping their heads above water in tough Thatcherite Britain where the old certainties (and dockyard jobs) are gone. Whenever these characters venture out of their home town, it tends to go badly and they come scurrying back. The show is about home. One of the things Carla Lane did was use catchphrases and family rituals to draw you into the family. The show was not short on catchphrases. From Joey’s ‘Greetings!’, through Aveline's 'Modelling' to Nellie Boswell’s 'Hello, yes' and her rant about Lilo Lil: ‘Don’t you dare mention her name in this house: She is a TART!'. There were also rituals like taking the tray round to granddad (and getting an earful in the process) to the porcelain chicken being opened up for people to put their housekeeping money in. There are also the traffic cones they illegally used to reserve their on-street parking spots. It’s well worth thinking how we can all use devices like this to pull the audience closer and make them feel like they could just pull up a chair and be right at home like millions of us felt we could do in the Boswell household in Bread. For more thoughts on sitcom - and getting the sitcom out of your head and onto some paper - get hold of Writing that Sitcom by yours truly. The Sitcomgeek book is finally here. Or there on Amazon, at least. 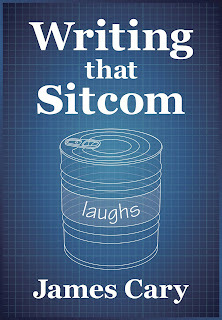 Writing that Sitcom is available for Kindle and Kindle App now. (If you're interested, here's why it's on Kindle and not a 'real book'). They never liked David Frost. The cool kids, like Peter Cook and Willie Rushton, thought he was a try-hard. In a sense they were right. David Frost tried hard – and wasn’t afraid to be seen to try. And he really succeeded, fronting the legendary That Was the Week That Was and The Frost Report as well as chat shows in America and Australia. He interviewed Nixon, launched a successful breakfast television show, and received a Knighthood. 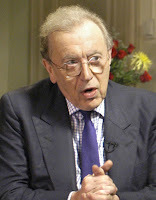 Sir David Frost was some kind of genius. He tried. And succeeded. For Cook and Rushton, genius should at least appear effortless. For Peter Cook it probably was. He had one of the greatest comic brains in the history of the English Language. Comedy seemed to come so naturally to him that it wasn’t even fun. We Brits love the idea of the effortless genius. We love the Peter Cooks of this world (see also Peter Sellars, Eric Morecambe and even Oscar Wilde). 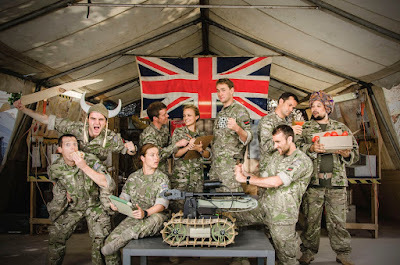 We love their wit, their inventiveness and their charm. And we laugh at the try-hards. We never truly respect the David Frosts, despite their enormous achievements. In fact, sitcoms are full of hapless try-hards who will never get the respect they crave despite their best efforts. 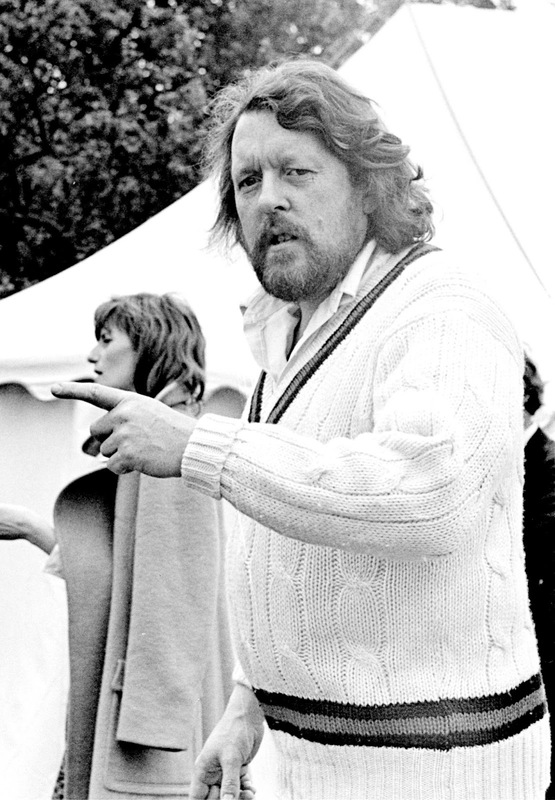 Why start a book about comedy talking about Frost, Cook and Rushton? Because it’s easy to fall into three traps when thinking about writing comedy. Trap 1 – The mistake of thinking Great Comedy Is The Work Of Unalloyed Natural Genius. There are comedy greats, like Peter Cook, who seemed to have instincts that the rest of us can only dream about. But it’s extremely rare. And much of it is myth. Look into the history and you’ll discover that genius of sitcom often cut their teeth writing episodes of kids’ shows or sitcoms that really weren’t great or didn’t last. 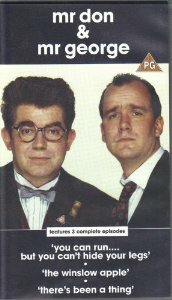 I’m not claiming to be a genius, but I did write some episodes of Chucklevision, as did Russell T Davies. They say “You’ve either got it you haven’t”. Like all sayings, there’s an element of truth to it. There’s no point pursuing comedy writing if you have no aptitude for it whatsoever. You need to have some instincts for comedy, but they are only the starting point. Instinct is important, as is perseverance – and these two things will carry through as you learn the craft. Trap 2 – The mistake of thinking Comedy Is Something Anyone Can Do. There’s an increasing ‘competition’ mentality seeping into the industry. Well-meaning institutions like the BBC, in their attempt to find new comedy voices, give the impression that anyone with a good idea for a show will be able to turn in a smoking hot script without too much effort. It just takes a laptop, some strong coffee and a long weekend. And then if they’re lucky, they’re sorted for life. They’re ‘a writer’. The problem with writing is that it seems easy. Typing is easy. But writing is not. Being a writer is not like ‘a real job’ where you have to study hard, sit exams and get qualifications. There are quite a few jobs you can’t just rock up and do. You can’t use your ‘natural flair for open heart surgery’ to get you a job cutting people open in a hospital. You need years at medical school and you have to pass exams. And you can’t just use your skills of rhetoric to simply ‘be a barrister’. These things take time. Writing sitcoms is the same. It takes time to get good at it. You just don’t need any accreditation or specialised equipment. But as we will see in this book, writing a script, especially a pilot script, takes months, even for those who’ve been working in the industry professionally for decades. Every now and then a ‘genius’ comes along who seems to have knocked out a brilliant script in an afternoon, but that’s not you. Or me. This book assumes you are not Peter Cook. If you are Peter Cook, and your brain is just wired funny, throw this book away at once. Burn it. Delete it. Destroy it without reading the contents. I look forward to seeing your show on TV and buying the boxed set. But the odds are that you are not a natural. If you’re not someone special, like Sir David Frost, you’ll just have to put the work in. Here’s one more dangerous idea floating around the place. To find out about Trap 3, have a look at the free sample on Amazon here. Available for the Kindle/App now. I’ve written a book that will be out soon. It's called Writing That Sitcom. It’s based on this blog, but tidied up, considerably augmented, put in a useful order and the typos removed. It’s not full of hilarious showbiz anecdotes, because I’m a script writer. I never get invited to the kinds of places where those showboz anecdotes happen. Nor is it full of bitter complaints about how writers are being offered less and less money for more and more work, rights and graft. That’s for a separate, much longer book. Since we’re on the subject of money and poor deals for rights, it’s worth mentioning that the book is only going to be available as an e-book, for the Kindle (or Kindle App). It was the only deal that made sense. I was offered a tiny amount of money for it to be a real book you can hold in your hands – that would be available from November. Next year. But as with all published books, the percentages are such that you need to sell a lot of copies to exceed even your modest advance. Given the market for technical books about sitcom-writing is pretty small, and the fact that almost all sales of this book would be a direct result of this blog and my tweets, it didn’t seem that the paperback route was very good deal. This book doesn’t feature any whinges about money. As the title suggests, it focuses on getting from the idea in your head to a pilot script that you could bear to show another human being – and then what to do with that script, and how to use it to get you work on other people’s sitcoms. Then there’s some advice on working in other people’s sitcoms, as well as writing for radio and children. So is this Sitcom-Writing Made Easy? No. No, no, no. Far from it. I’m at pains to point out that writing sitcoms is hard, and writing the pilot is the hardest bit. It is not for the feint-hearted. But knowing this is as important as learning about technical detail because if you don’t have the right attitude at the start, you will quickly become disillusioned at the amount of work it is. You might assume that it must mean you’re doing it wrong. But writing is hard, especially if you’re doing it right. You just need to keep going. The book will be out in the next few weeks. I shall obviously be keeping you thoroughly posted. In the meantime, listen to the Sitcomgeeks podcast. The overall theme of our inaugural episode is asking what your sitcom is about – and working out what it’s really about. Like any decent movie, novel or play, a sitcom has a superficial setting, but it’s not ultimately about that setting. It has a theme or an attitude that informs everything. And that is what your sitcom is really about. We all know the secret of comedy is timing. But it’s not just in the delivery of the jokes you need to worry about this. It’s the delivery of the original idea. Ideas have their time. They can capture the mood of a moment, or a new social phenomenon. This is clearly the case when you watch sitcoms from yesteryear. Hardly any shows are truly timeless. Even fairly recent hits like Men Behaving Badly which is regularly re-run on cable channels feel rather dated at times. And watch the first and last few episodes of Only Fools and Horses. They are very different in tone. Del Boy goes from dodgy market trader selling potentially stolen (‘hookey’) goods to wannabee yuppee and responsible husband and father. Some show are timeless, especially ones that don’t look like contemporary life. Perhaps that’s why Blackadder is eminently rewatchable – apart from it being staggeringly funny. In Series 2, 3 and 4, they made a virtue of being a historical artificial studio show, even referring to it in Series 3 when Blackadder says he seems doomed to die on ‘this unconvincing grassy knoll’. But most shows are contemporary – and commissioners tend be very reluctant to commission historical comedy. I’m not sure why. I think they worry that they look elitist. There haven’t been many commissioned since Blackadder, which is a shame because most overeducated comedy writers want to set a show in some obscure historical backwater. So, given your show is probably set in the here and now, what’s the show really about, and why does it say something about now? Porridge I mention on the podcast that I recently re-watched the first episode of Porridge. That show too had a resonance with the times. Fletcher points out that life outside prison wasn’t that much fun with cutbacks, strikes and a crumbling economy. So you might as well be in jail. It’s just a throwaway comment, but strikes a chord and gives a clue to the success of the show at the time (as well as truly brilliant writing and one of the best comic actors the nation’s ever seen). That, and the fact that they’re wearing uniforms that means that it doesn’t look so dated making it eminently repeatable without fear of cringing. Sometimes I look back through old notes books and click on archived folders and stumble over ideas that are perfectly okay as situations for sitcoms, but I just couldn’t go back to because they feel so dated now. Or irrelevant, highlighting a social issue that’s no longer a big deal, or has been done to death. This is one problem with some ideas that have been working on for years. By the time, you’re in a position to pitch them, they feel like their moment has passed. In which case, think of something else. You may be adapting something that has already found an audience in another medium. Mrs Brown’s Boys was a stage show for many years before it ended up on screen. But when it comes to you, a scriptwriter, creating a show from ex nihilo, it needs to be relevant today, so that when the commissioner says ‘Why am I watching this show?’, you don’t end up walking out and causing a scene, like George Costanza. Here’s the other question. You may have a brilliant idea that speaks volumes about the times we live in, shining a light on a community of characters we’ve not seen before. But are you the one to write it? If you’re wanting to write a sitcom, you aren’t just pitching a 90 minute movie. One script. You’re pitching six episodes, which any commissioner will want to have potential for at least another twelve episodes. You’re essentially saying you can write nine hours-worth of your sitcom idea. Nine hours. That’s six ninety minute movies. Why should they trust you to write this idea? The only way to convince them you’re the person for the job is to be passionate about it. You don’t need personal experience of what you're writing about, necessarily. I’m not an advocate of the ‘write what you know’ theory. I’ve written sitcoms about management consultants, Bletchley Park code-breakers and bomb-disposal officers. I’ve been none of those things. But I have read an awful lot about them and spoken to people who’ve done those things first hand, so the story ideas have a ring of authenticity about them. Of course, if you’ve worked in a bookies for five years, you’ll have plenty of insights into life in bookmakers. Then you just need to work out why now is the time to be watching a show set in a bookmakers. Deep down, your show is probably not about gambling at all. It’s a metaphor for something. But what? Who knows? You probably need to. So there are plenty of questions here – that only you know the answer to. There are plenty more questions on the podcast. And if you have questions that we might know the answers to, you can email us at sitcomgeeks at the gmail.com.